Our company has gained wide spread reputation in the offering Room Service Trolley. Mainly, these trollies are used for transportation of bulk material from one place to another. These are manufactured by using premium raw material by our experts who have great knowledge in this field. Besides, these are sturdy in construction and dimensionally accurate. Finally, these are offered at pocket friendly prices. 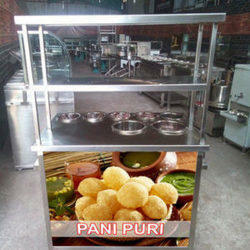 With the inclusion of high end techniques and innovative machines, we are engaged in offering a wide range of Pani Puri Counter. The range offered by us is precisely manufactured by our professionals utilizing premium quality raw material and sophisticated techniques in strictly adhering to set industrial standards. We offer this product in varied specifications as per our clients demand at reasonable price. Our clients can avail from us exclusive range of Stainless Steel Scoops, which is fabricated from high grade raw material. Besides, we offer our product range in various sizes and colors in accordance with variegated clients’ requirements. 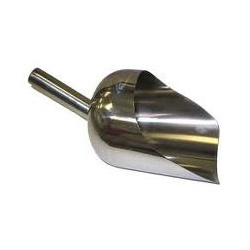 To fulfill wide needs, these scoops are also available as per specified requirements of the customers. This Stainless Steel GN Pan are used as durable food holders for food service purpose. They are perfect for holding food, condiments, or any other eatery items. 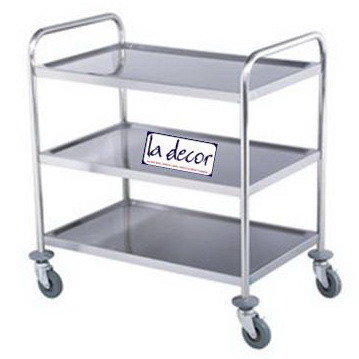 They are widely used in every hotel, restaurant, catering, canteen and even home kitchen. You can also see this GN Pan in food bars, food cart, take-away stores, buffets, freezer and the like. They can also be used as a simple roast pan in the oven, a food pan of the chafing dish or food warmer, tray of the bain marie and so on. The particularly neat feature of this GN pan is that it has an anti-jam ridge that runs along all four sides, so that it stack neatly when you've more than one, without jamming! The Stainless Steel GN Pans are actually made in a number of standard sizes, standard depths, and different materials, so that they all act as a roughly interchangeable set. Looking for “Food Serving Equipment”?